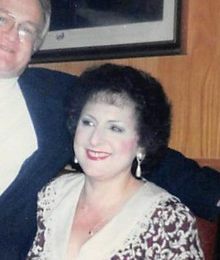 Julie Rose Goulet, 71, of Manchester died February 1, 2019 at her residence after a sudden illness. Born in Concord on July 11, 1947, she was the daughter of Isadore T. and Carolina (Jenovese) Savino. She attended St. John's and graduated from Bishop Brady High School. She earned her degree from Mount Saint Mary College. Julie enjoyed reading, solving crossword puzzles and loved spending time at the ocean, especially Cape Cod and Perkin's Cove in Maine. She also enjoyed traveling with her husband. A Mass of Christian burial was celebrated on Friday, February 8, 2019 in Blessed Sacrament Church, South Elm St, Manchester. Committal prayers followed in the chapel at Mt. Calvary Cemetery, Manchester. Donations may be made in her memory to the charity of one's choice.